Tempdb can be a major bottleneck on a busy SQL Server instance. A common source of this is PFS, GAM, or SGAM page contention. Lately I’ve seen on more than one SQL 2016 instance where a different page became a major bottleneck (if you are on SQL 2017 this may apply to you as well). The page was related to sysobjvalues in tempdb. How would I see this? If you query sys.dm_exec_requests you will see a lot of sessions in PAGELATCH_* wait_type. 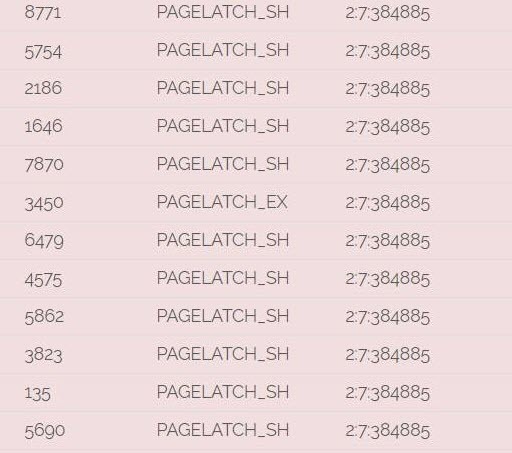 If you look at the wait_resource column it will give you the database:file:page where the PAGELATCH contention is occurring. If you run the above query while you are having this issue, you will see output that looks similar to below. You will see a lot of sessions waiting on PAGELATCH_* waits. They will also be waiting on the same page in tempdb. In this case 2:7:384885. The first value in the sequence 2:7:384885 is the database id. 2 always points to tempdb. The file is the second value 2:7:384885. The page in the file is the third value 2:7:384885. These are going to vary on your system. To determine what table is associated with this database:file:page you can perform a dbcc page to retrieve the object id and subsequently retrieve the object name. The parameters passed are database id, file, and page. The 0 indicates indicates to just dump the header. the dbcc traceon causes the output to display to the messages tab. Below is the output showing the object id. Now that we have the object id we can look up what object this page is associated with. You need to actively be monitoring sessions as this scenario occurs to see this. 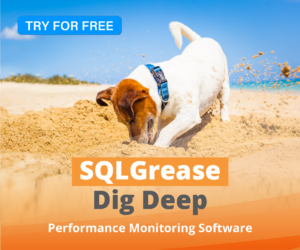 You can use a performance monitoring tool (such as SQLGrease free) to capture this, or you can attempt to roll your own solution which stores the output of executing sessions. If you have a server with a busy tempdb and migrate to 2016 or 2017 be sure to apply the appropriate CU listed above. Next > Your plan is cached but dm_exec_query_plan returns NULL, Why?